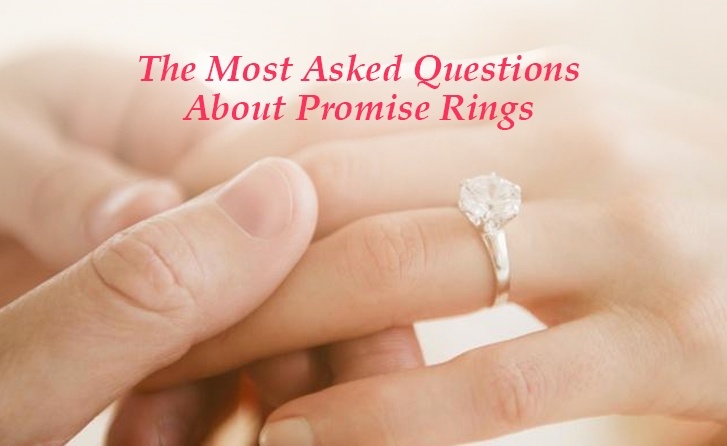 Promise rings are one of the most asked about items for jewelers next to engagement rings– what is their purpose? What do they mean? When is the right time to give one? Where should it be worn, and what should it look like? Because they mean different things to different people, promise ring etiquette can be a little bit confusing. In this post, we’re going to clear it up for you. Simply put, promise rings are a piece of jewelry someone wears to symbolize a promise they’ve made. This might be a promise of love or friendship between two people, or a promise to oneself of chastity or sobriety. Ever seen someone tie a ribbon to their finger as a way to remind them to do something? Promise rings are a more formal, more beautiful, and more permanent version of this–a constant reminder of a pledge you’ve made to yourself or to another person. Where did promise rings originate? The notion of the promise ring, as well as the more formal engagement ring, originated in 1215 when Pope Innocent III declared a mandatory waiting period between betrothal and the actual wedding ceremony. Couples intending to marry exchanged rings to signify their commitment to each other during this waiting period. Today, a future promise of marriage is one of the most popular reasons for giving a promise ring — couples not ready for the step of engagement might give each other promise rings as a way of pledging their monogamy and as a symbol of serious commitment. This tradition started among men who were financially unprepared for marriage yet wanted to pledge their commitment to a partner until they could afford to support a wife, but now it has come to be a smaller step before engagement for many couples. Who gives promise rings and why? Anyone can give a promise ring and the best part is you can even give one to yourself! A promise ring can be a symbol of many things: friendship, chastity, abstinence from drugs or alcohol, or a symbol of an exclusive dating relationship or intention to marry. A promise ring need not signify an intention to marry for every couple. Many couples exchange them merely as a symbol of fidelity. Think of a high school boy giving his sweetheart his class ring or letterman jacket as a way of showing they are going steady–a promise ring is a similar, perhaps more adult, way to express that same sentiment. It is also not necessary that a promise ring be just for couples as a symbol of romantic love. As children, we exchange yarn bracelets and other tokens of our friendship. Why should adult friendships not also have a symbol of loyalty and deep feeling? If you’re looking for a way to express how much a friend means to you, a promise ring might be the perfect gesture. As children, we exchange yarn bracelets and other tokens of our friendship. Why should adult friendships not also have a symbol of loyalty and deep feeling? You can also buy yourself a promise ring as a way of making a pledge to yourself. Have you recently beaten an addiction to drugs or alcohol? Many sobriety programs use a token or medallion for their patients to touch each time they suffer a craving–a promise ring can be a way to remind yourself of the challenges you’ve faced and admirably defeated. Finally, another common use for promise rings is as a symbol of abstinence or chastity. This use rose to popularity in the 1990s during the rise of a movement amongst Christians to promote abstinence before marriage. When used like this, promise rings are usually called ‘purity’ rings, and their popularity grew even further in the 2000s when stars like Miley Cyrus and the Jonas Brothers made public displays of wearing them, making them mainstream. 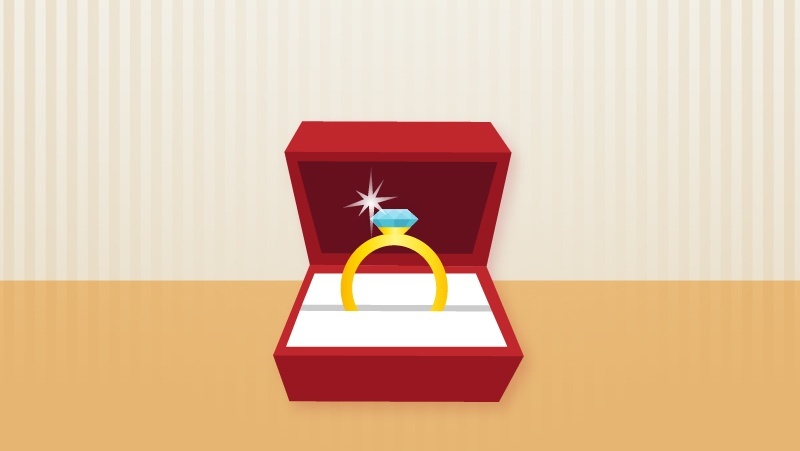 You can choose to make a pledge of abstinence and purchase a promise ring for yourself, but oftentimes teenagers are given them in a religious ceremony by their parents or religious figures. Frequently, this ring stays on until the wearer replaces it with a wedding band. So whether you’re buying a promise ring for yourself, a friend, or a lover, there is no end to what the jewelry can signify. The truth is there is no right or wrong time. 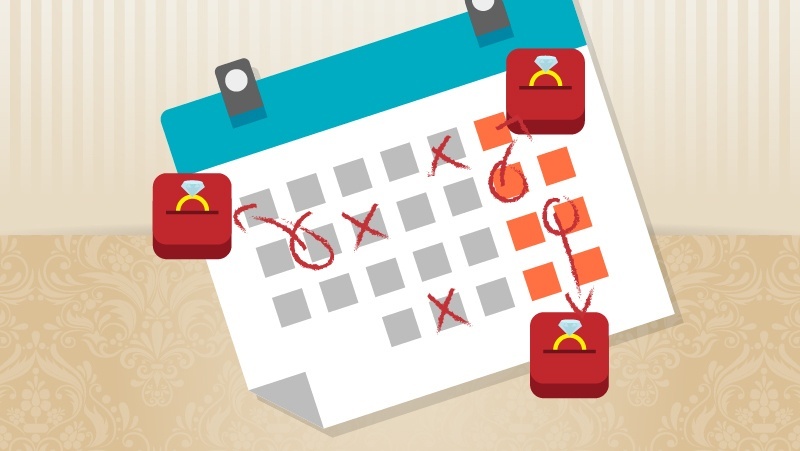 Many couples choose to exchange promise rings because they are too young for marriage. If you feel you want to make a lifelong commitment to your partner, but you’re not legally old enough or ready for marriage mentally, emotionally, or financially, a promise ring ceremony can be a beautiful way of expressing your feelings and devotion. However, you need not be a teenager to want to give your partner a promise ring. Couples of all ages and creeds exchange promise rings as symbols of purity, love, monogamy, and more. 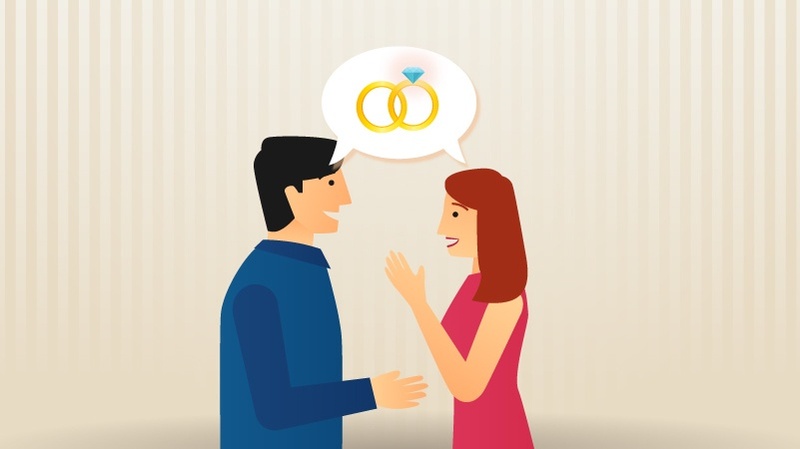 If you’re offering a promise ring, it should be at a time when you feel comfortable with your relationship being an exclusive one–for some people that might be a few weeks or months, for others it might be after the first year. Often, the further on in a relationship, the more likely a promise ring is to symbolize an intention to marry. Whether you give a promise ring after the first few dates or a couple of years, there is only one rule. Be clear with your intentions. Because promise rings can have so many meanings and often act as pre-engagement rings, your partner may assume your ring signifies a promise of future marriage. If this is what you intend, that’s wonderful, but make sure you are honest with what the ring symbolizes when you give it to them. What’s the best way to wear a promise ring? 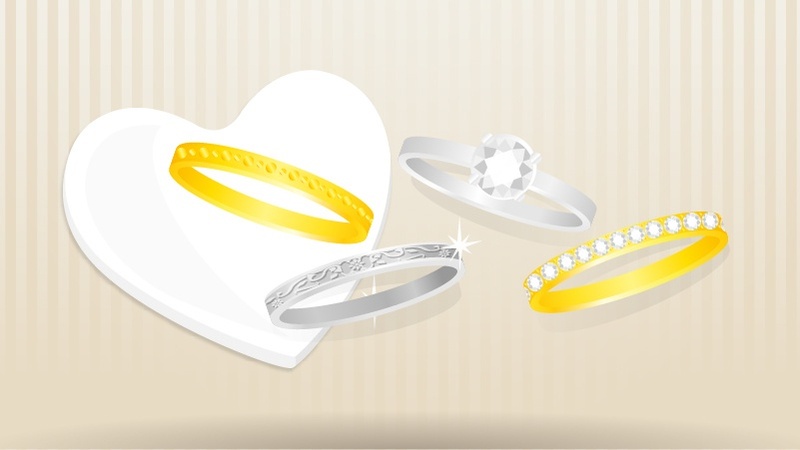 There are many unique promise ring designs and styles. If the promise ring is a pre-engagement ring, you may choose to wear it on the ring finger of your left hand as a symbol to others that you are in a committed relationship. Many people will wear their ring there and then replace it with their actual engagement ring when the time comes. However, some do not wish for their promise ring to be confused with an engagement ring, so instead they choose to wear it on the middle finger of their left hand or their ring finger on their right hand. This is an entirely personal choice. Many people will choose to wear a promise ring as a symbol of purity on their left ring finger as well, symbolizing their choice to wait until marriage. Promise rings can look just about any way you want. Typically, they are made of a cheaper metal than an engagement ring, something elegant, but more affordable such as sterling silver or yellow gold. This way the ring will not be confused with an engagement ring and money can be saved toward that next step. Often, they contain a heart in the band as a symbol of romantic love and devotion. However, since promise rings have come to mean so many different things, they can range from a gem-studded affair to a simple metal band. Just like an engagement ring, a promise ring can be highly personal and it should reflect the personality of its wearer. A plain band is an excellent choice to make a ring more personal because it leaves room for an engraving on the band where you can write the words of your promise or the name of your partner. Some people prefer a simple band that has a little more pizazz, and there are tons of options to make that happen. If you’re a bit old-fashioned, consider an antique style ring with a filigree pattern. If you’re more modern or edgy, try a twisted or swirl style ring. Finally, while it is more common for men to give women promise rings, perhaps you would prefer to exchange rings. You could go for matching bands with each other’s names engraved on them, but consider something a bit more special in the his-and-hers department like rings that are two halves of a heart, which make one complete heart, when placed together. Ultimately, the only rule when it comes to promise rings, aside from being clear with your meaning, is that there are no rules. They can be given at any time to signify any promise or commitment, and they can be worn on any finger and come in a design that is the most true expression of its meaning and the personality of its owner.